(Natural News) With many health drinks becoming popular, it’s becoming more difficult to select which one to drink. One of these health drinks is kombucha, a fermented tea. With a name that means “the tea of immortality,” kombucha has many benefits to offer. Kombucha is prepared from tea, sugar, and SCOBY, which stands for symbiotic culture of bacteria and yeasts. The sugar is converted into ethanol and acetic acid by the bacteria and yeast, giving kombucha its characteristic taste. This might not sound very enticing at first but kombucha’s mildly fizzy and sour taste, along with its many health benefits, makes it a good alternative for soda. Aids digestion – Like other fermented foods, kombucha is also rich in probiotics, which are live bacteria that are beneficial to the body. Drinking kombucha will help replenish the body’s supply of good bacteria, lessening the risk of various digestive problems such as diarrhea, constipation, and lactose intolerance. Prevents leaky gut syndrome – Kombucha also prevents the development of leaky gut syndrome. People with this condition have a compromised gut permeability, which allows small particles to get into the abdominal cavity instead of going to where they need to be. If left untreated, leaky gut could also be the cause of autoimmune disorders like rheumatoid arthritis. Heals stomach ulcers – Studies have shown that kombucha has antioxidant effects that could prevent acid buildup, which could cause stomach ulcers. Additionally, kombucha was shown to have anti-inflammatory properties. Reduces arthritis pain – Glucosamine found in kombucha also promotes hyaluronic acid production to keep the joints well-lubricated. 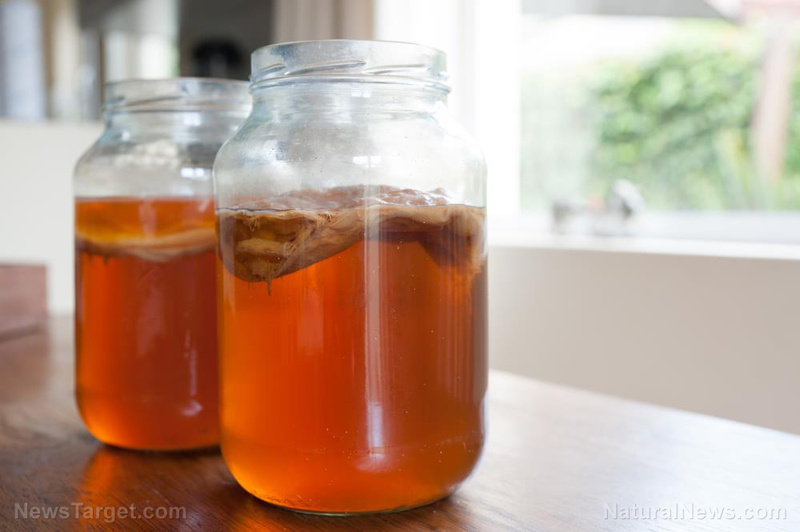 Regulates blood sugar levels – Kombucha, especially when made using green tea, can significantly reduce blood sugar levels. Lowers risk of heart disease – Previous studies have shown that kombucha can increase good high-density lipoprotein cholesterol levels. Kills microbes – Acetic acid doesn’t just provide the drink’s sour taste, it also has antimicrobial properties. Studies have shown that black or green tea kombucha are particularly effective against pathogenic bacteria. Improves lung health – Recently, it has been discovered that inhaling kombucha eliminates silica contaminants from the lungs. This is important since silica particles can damage the lungs and impair breathing capacity. Additionally, the risk for diseases like tuberculosis, lung cancer, and chronic bronchitis are also increased. Peppermint tea — Drinking peppermint tea helps people with nausea and digestive problems, like abdominal gas and bloating. Additionally, it can also prevent muscle spasms. Chamomile tea — This type of tea is commonly used by people with sleeping problems since it serves as a natural sedative that can lull the body to sleep. It can also be used for treating cough and colds, bronchitis, and fever. Lemon balm tea — Lemon balm tea helps boost the mood while also improving concentration. Learn more about the different health benefits of kombucha by visiting Food.news today.